At the heart of this infrastructure lies the animal caring system. 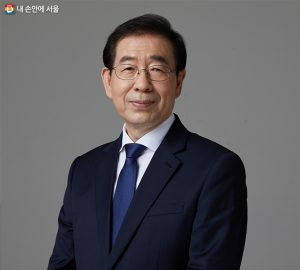 For the first time ever in Korea, embedded microchip registration, an abandoned animal emergency rescue organization, and adoption animal insurance are to be officially adopted to offer new animal care services, while the animal welfare infrastructure that has led to the construction of pet playgrounds, animal care centers, and pet training centers, is scheduled to be expanded upon throughout the Seoul region. The city will create suitable, large-scale environments to raise pets and lessen animal conflict among neighbors to increase animal care and heighten its cultural sovereignty as a global city. To enforce these matters, the lives and safety of abandoned animals will be protected through leading support, rather than secondary handling. Starting late March, a payment of KRW 10,000 will fund embedded microchip registration at 540 animal hospitals in order to prevent animal loss and abandonment in advance. The abandoned animal rescue group will be organized for the first time ever to increase viability with 24-hour treatment. New adopters will be offered animal insurance support for up to one year in efforts to promote the adoption of abandoned animals. To create a Seoul that is well-suited for raising pets, the city looks to improve its animal care facilities. The number of pet playgrounds are set to be increased from four playgrounds last year to 10 within the upcoming year, with up to 25 playground installations to be completed in all autonomous districts by 2022. The single animal care center in Mapo-gu will also increase to four center branches in each area by 2023, offering greater access to animal care education for the public. The basic initiative for building an animal-friendly city announced by Seoul on the 19th is a two-stage animal welfare plan for the realization of a city culture that respects life. A public consensus will be collected through public debate, the Animal Welfare Committee, and the Seoul Animal Youth Net so that the public may readily benefit from program accessibility while also being practical.